Chances are if you’re on this page you either need your irrigation system fixed, or you want to install a new system. Maybe you’re tired of moving the oscillating sprinkler around the yard every weekend only to see the section you missed turn brown. 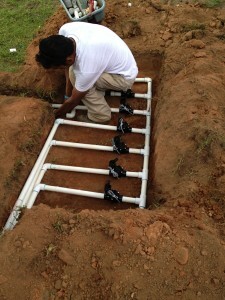 We’ll walk you through the process of our design for an irrigation system Spartanburg residence love. We are always willing to work out a design that is effective and affordable. Lastly, we aim to complete your job as smoothly as possible. We try hard not to turn your yard into a complete construction site. 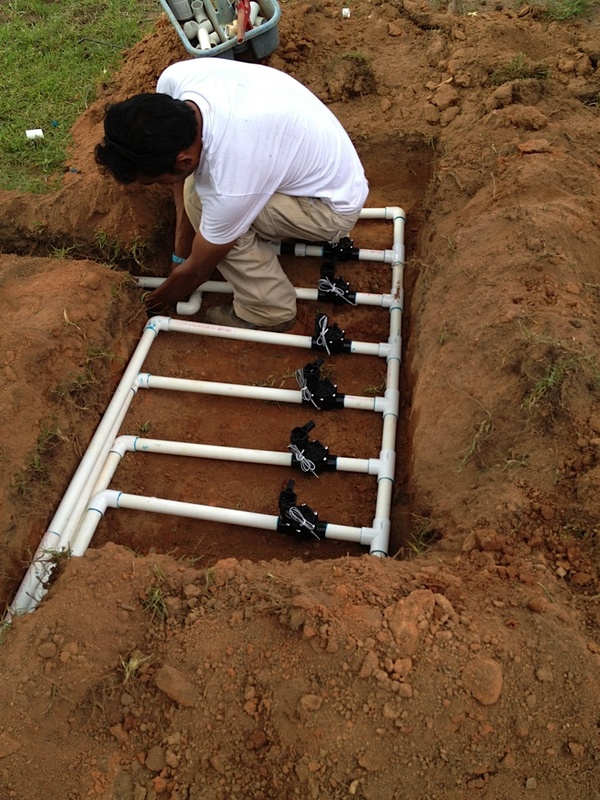 We provide all the irrigation systems Spartanburg properties could need. We can design a brand new irrigation system that can be controlled by a smartphone app. Or, we can help repair your current irrigation and sprinkler systems. Give us a call, we’d be happy to help you out! There are a wide variety of sprinkler systems that we can install to ensure your property looks it’s best. Each system and it’s components have different pros and cons. We are happy to design a system for your property. We will talk you through your options to make sure you have a system that works for you in every way, i.e. effectiveness, efficiency, budget, and more. We know the types of irrigation Spartanburg properties need to stay healthy and green. Our knowledge of the area, and of landscape irrigation is top notch. Todd Cochran graduated from Clemson with a degree in Horticulture. Since then he’s been working in the landscaping business for roughly 20 years now. We can help you achieve your goals. Call us today, we’re here to provide Irrigation Systems Spartanburg residents and businesses need. They will help you save time, money, and keep landscapes looking their best. For more basic information about irrigation systems visit this webpage. We can’t thank you enough. We had no idea what was possible with our home. We now have the outdoor spaces we’ve always dreamed of. Thank You! or commercial property landscaping and lawn maintenance needs. Cochran Landscaping, Inc. provides professional design, installation, and maintenance of all phases of landscaping, irrigation, lighting, pavers, walls, ponds, waterfalls, fountains, and outdoor fireplaces and kitchens.